Babri Masjid Demolition Case: Supreme court today has given its Judgement on the Babri Masjid case. 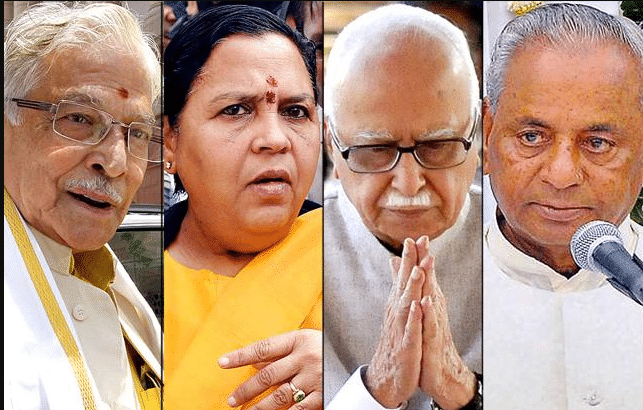 As per the ruling given by SC, Senior BJP leaders LK Advani, Murali Manohar joshi and Uma Bharati will be tried in Lucknow for the criminal Conspiracy. Along with the BJP Veterans other leaders who would be tried include Vinay Katiyar, Sadhvi Ritambara, Satish Pradhan, Champat Rai Bansal and late Giriraj Kishore. Kalyan Singh, CM of UP at the time of Babri demolition wouldn’t be tried now. As he’s holding the position of Rajasthan Governor which has Constitutional Immunity and can be tried only after finishing his tenure. The Supreme Coutt of India also directed the Lucknow court to conduct trial in these cases on a day-to-day basis without granting adjournment. Expressing anger the SC said that the completion of the case should be done in two years. The trial will commence in four weeks and will be a no de novo trial (new trial). The Babri Masjid demolition was known to be one of the biggest riots in the Indian History. This unfortunate incident was the root cause for nationwide riots between Muslims and Hindus. Over 2000 people were killed and caused a lot of damage to both private and public assets. At that time it is reportedly known that Advani lead activists and leaders in BJP decided to built Rama temple where the mughals built the Babri Masjid. Many of the hindus in India belive that the Masjid was built on the top of Lord Rama’s Birthplace.Supreme Court of India will be deciding who the dispute site belongs to.